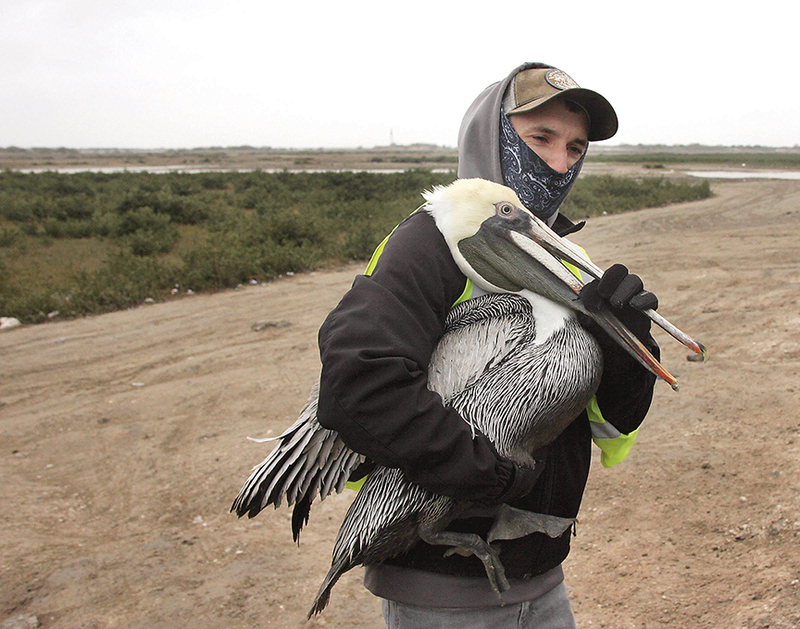 Another cold front hit the area this week, bringing with it potentially life threatening conditions for the Laguna Madre’s brown pelican populations. But, unlike the winter of 2016, where over 70 of the birds were killed by passing motorists on Highway 48, this winter has seen hundreds of the animals saved thanks to the response of numerous local volunteers and law enforcement. 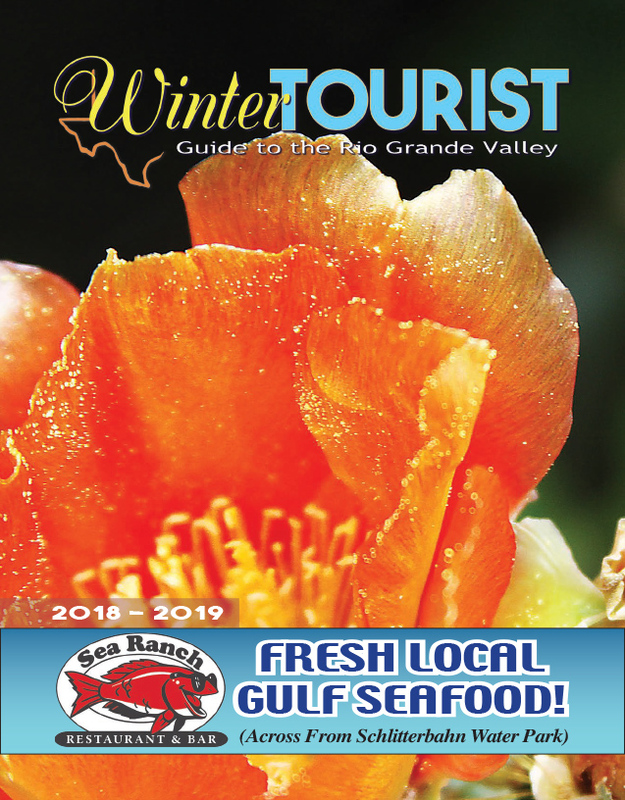 Tuesday’s cold front marked the second big pelican event in the area, thanks to the strong winds that accompanied the precipitous dip in temperatures. And, as was the case with the last event, at the beginning of December, the pelican team came to the rescue. It was last year’s massacre of so many birds which prompted the formation of the group, which soon found partners with local, county and even state agencies concerned with saving the pelicans. “It started last winter. We heard about a bunch of pelicans down in the road. 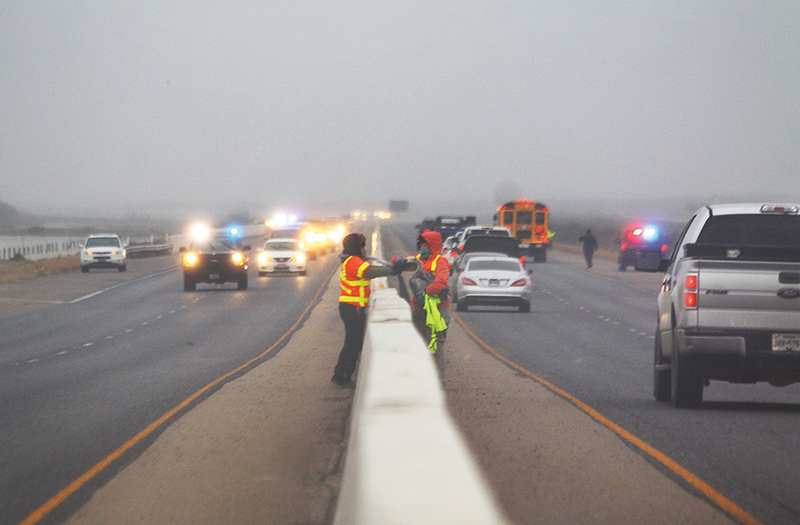 We heard about a couple of injured ones,” said Harlingen resident Justin LeClaire as the winter wind howled around him on the eastern shoulder of Highway 48 late Tuesday afternoon. “We came down for the injured ones and saw the slaughter… ever since, I’ve tried to be as big a part of it as I can be,” he said. LeClaire is a wildlife biologist and has helped to spearhead rescue efforts anytime a cold front threatens to down the unwieldy birds on the busy highway. Another volunteer, Brownsville resident Renee Lockett, came to help out as soon as she could get off of work. “I have a passion for birds, especially pelicans. When I was out here the day after over 70 were killed in one night, it broke my heart and I realized we need to make a change,” Lockett said. “We need to help resolve this problem for the sake of our wildlife,” she said.